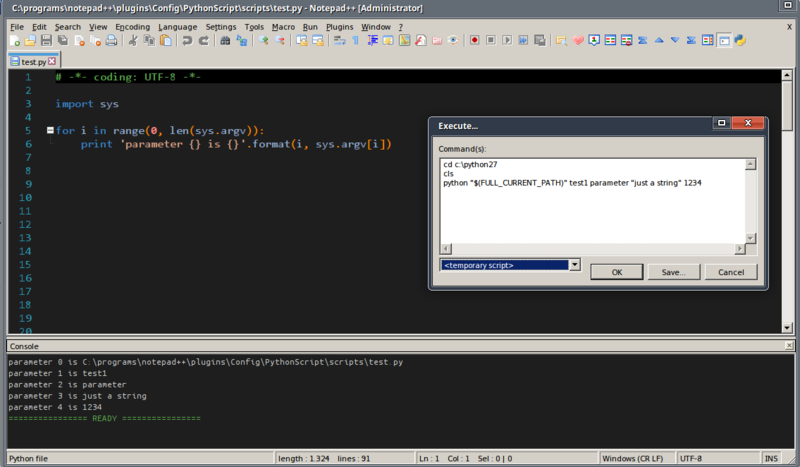 First, I am learning python and utilizing Notepad++, with NPPExec, to write programs. The problem is, I’m now needing to pass command lines, which are retrieved by the script using sys.argv. Is there any tutorial/help-file that explains the best way to do this? I had some success in the past (by utilizing the console and type the full-path to everything) but looking for a more efficient way. That helps =) Thank you! Hey all. This is my first login ever and I’m here to thank Claudia Frank for posting the answer on how to execute python in N++. Found it on one search!